Carol fell in love with the Lake Tahoe area during a family vacation several years before being fortunate enough to retire here. Born and raised in the mid-west, Carol always loved the outdoors and is now thrilled that every day, it is only a few steps to being in the peace of our lovely forest surroundings. After obtaining her undergraduate and graduate degrees in Biology from St. Louis University, she set off to experience life in sunny Los Angeles. For ten years, Carol shared her love of science teaching at a Catholic High School in Playa Del Rey. Wanting to expand her life experiences, she made a major transition to working in the Aerospace Industry by joining Hughes Aircraft Company’s Satellite Division. It was a very interesting and exciting 20 years and her career path took her to an Administrative Manager position. Raising a child diagnosed with Asperger's Syndrome did not allow much opportunity for volunteering but made Carol sensitive to the needs of those who struggle mentally, physically and emotionally every day of their lives. Feeling that her life has always been very blessed, volunteering at Bread & Broth is a way to ‘pay it forward’. Carol began volunteering with Bread & Broth in January 2009 and has found it to be personally fulfilling and rewarding. 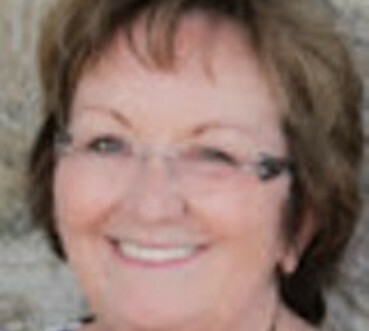 Filling the remaining hours of her day, Carol is the Vice Commodore for the SLT Yacht Club and enjoys daily walks with her husband and spoiled dog, yard work, skiing, traveling and being with family and friends. She is the Editor and Operations Manager for South Tahoe Now, an online news publication and provides internet marketing to several businesses. 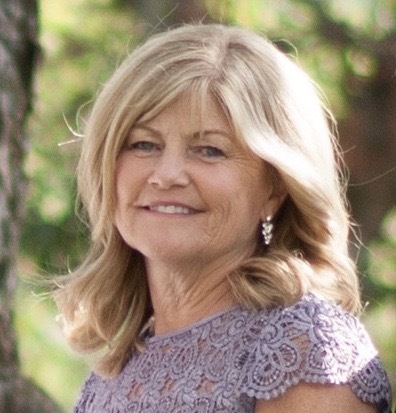 A long-time advocate of volunteerism, Paula also serves as on the Tahoe Youth and Family Services Board of Directors as their Vice-President, on the Lake Tahoe Historical Society Board as their Secretary, and on the Drug Free Coalition of South Lake Tahoe. She is also Past-President of Tahoe Douglas Rotary Club and South Tahoe High School Booster Club. After the success of the B&B 4 Kids program, Paula helped start a homeless student resource room at South Tahoe High where teens can go for clothing, food, supplies and resources from the McKinney-Vento advocate. Paula graduated with a degree in Journalism from Cal Poly San Luis Obispo and will be a forever student by enjoying classes at the local junior college. Paula is the proud mother of three sons and a daughter who have either graduated from or are currently enrolled in college. In her spare time she enjoys gardening, crafting, shabby-chic touch repurposing, fantasy football, sewing and reading. Raised in South Lake Tahoe, Meghan traveled the world after she graduated from South Lake Tahoe High School. Initially, she attended college in Southern California where she learned Italian and then began her world travels in 2000. Between spending time with family and attending school, Meghan traveled to the Middle East (Jordon and Egypt), Europe (Germany, Italy and Paris, France), Japan, Costa Rica and many other wonderful locations. After changing majors, Meghan attended San Francisco State, but was finally drawn back to the Lake Tahoe area when she transferred to University of Nevada, Reno to complete her Bachelor’s degree in Business in 2012. She currently works as an Accounting Manager in the Hospitality Industry in the Lake Tahoe South Shore community. Meghan felt compelled to find a way to give back to the community that supported her for so long as the opportunity to serve on the Bread & Broth Advisory Board came her way. She has relished the chance to contribute her business skills to the organization which included helping organize the Burlap & Denim fundraiser for B&B 4 Kids at the Celio Ranch. She loves baking, trail running and cross country skiing with her dogs, Cairo and Nikita, and also competes in triathlons! Meghan has not lost her love of travel and looks forward to her future “bucket list” of world travel but is now happy at home serving her community. Christy was born and raised in Pacific Palisades in Southern California. She attended California Western University, San Diego for four years. She raised her two daughters in Torrance, California. 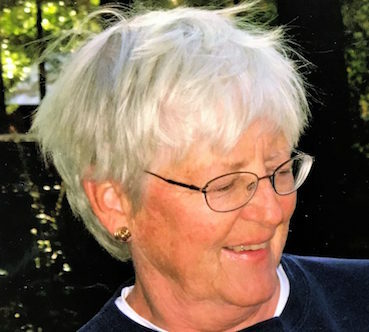 Being fortunate to not have to work while her children were young, she was able to be her daughter’s Girl Scout leader for 11 years and spent a lot of time playing and enjoying tennis in sunny SoCal. As her daughters grew older, Christy worked part-time in an orthopedic doctor’s office and for her family until her husband retired in 2003. After camping as a family for a month every summer at Camp Richardson for 31 years, it always was their dream to retire to beautiful Lake Tahoe. Once retired, they bought their own little piece of Tahoe in 2004 and moved up fulltime in the summer of 2007. Christy spends her time hiking, biking, snowshoeing and kayaking and boating on the lake. She is a movie buff and tries to go to the movies weekly with her husband. Being a big PBR (Bull riding) Rodeo fan, she and her husband travel to as many events as possible and watch it every weekend on TV. Yee Haa!!! Another favorite activity is traveling and sightseeing with their dog in their RV. Spending family time on special Holidays in Southern California with her children and 5 precious grandchildren is a top priority for Christy. Having had so much good in her life, Christy always felt the need to give back and help others. In retirement, she finally had that time. Even before moving to Tahoe full time, she began volunteering and serving at Bread & Broth in 2005. Her time with Bread & Broth, and more recently B&B 4Kids, makes her happy and she feels very fortunate to be a Bread & Broth volunteer helping to ease hunger in her community. 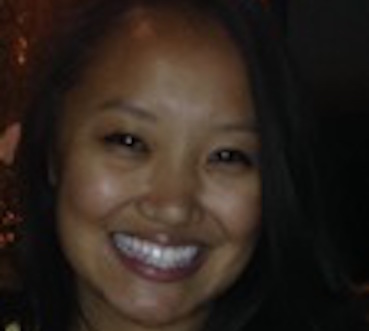 Born and raised in Los Angeles, California, Myee moved to South Lake Tahoe in June 2015. She came not knowing what she was going to do here but soon began working from home as an administrative specialist with UCLA’s Department of Medicine. In addition, as a licensed instructor, Myee teaches Zumba classes at the SLT Recreation and Swim Complex. Myee’s involvement with Bread & Broth began when she heard about the Bread & Broth 4 Kids program through her attendance at her local church. Myee loves to interact with children and worked at the day care center at the University of California Los Angeles, her alma mater. Initialing volunteering to help with the B&B 4 Kids program, Myee was tapped to use her skills to serve at B&B’s Volunteer Coordinator. Being committed to the organization’s mission to help ease hunger in the Tahoe community, she is thrilled to see how there are so many people who want to help others, especially people in need. In her spare time, Myee enjoys playing games, hiking, watching the LA Lakers, and spending time with family, friends and her three dogs. Leading Zumba classes is also one of her favorite things to do because it is a fun way to work out and brings joy to her Zumba class students. One of her favorite TV shows is the Ellen DeGeneres talk show. Finding Ellen to be an amazing, funny and caring person, Myee tries to emulate Ellen as her role model and follow her motto “Be Kind to one another”. Kathi was born in the Bay area and spent her early years in San Jose. She and her husband, a US Marine, were married in 1981 and relocated to Costa Mesa. She began her career in exhibit fabrication, tradeshows, special events, and catering in southern California until their transfer to Hawaii in 1990. In Hawaii, Kathi joined Century 21 as a realtor and based upon her vast marketing experience, began selling promotional products as well. 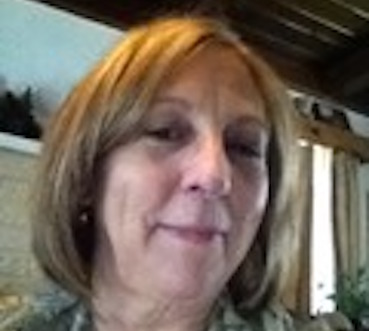 Having enjoyed vacationing at Lake Tahoe in their childhood, Kathi and her husband bought their Tahoe cabin in the early 1980’s and spent many wonderful vacations there. Upon their retirement in 2001, their vacation cabin became their new home. When the Angora fire struck, Kathi became involved with the Bread & Broth program on a regular basis when she recognized the need for nutritional meals and stepped in to serve her community by becoming the Lead Cook for Team #4. Her husband is also a cook on team #4, making it a family mission. Kathi is a very active community volunteer, helping out with her church, Habitat for Humanity, and many other charitable community programs. Still feeling as if she is on her honeymoon, Kathi loves spending time with her husband. She enjoys her time spent with her dogs, hiking, yoga, reading and all lake activities. Her big passion is ‘glamping’ and has enjoyed extensive travel in their RV accompanied by their family dogs. Kathi is proud to be a part of Bread & Broth and values her time helping others. 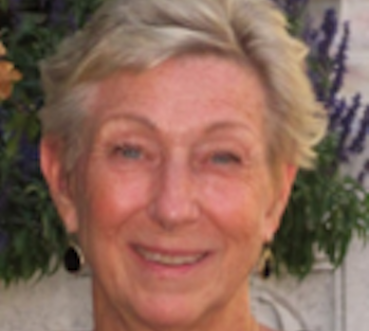 Roberta was born and raised in New York and attended Mercy College in Dobbs Ferry, NY, earning her degree in Education. Upon completion of her undergraduate degree, she relocated to San Francisco and continued her education earning her Masters degree in School Administration from the University of San Francisco. Her first and only position for the next 36 years was as school principal at Simpatico Junior and Senior High School. Roberta was instrumental in founding the school which served young girls with mental health issues and pregnant teens, all referred by the Department of Social Services and Probation Department. Upon retirement, Roberta moved to South Lake Tahoe and began her involvement with the community by volunteering with Bread & Broth. She began helping with procuring food for the ‘Monday Meal’ service and through her many years of service has continue her dedication by assuming the lead role in coordinating all the steps necessary to procure food needed to support Bread & Broth’s weekly meals. Roberta enjoys gardening and hiking the many trails surrounding Lake Tahoe. She loves having her family visit and thinks that in a former life she must have been a tour guide or Indian scout because she loves touring her family around when they visit. This saying is what she believes! 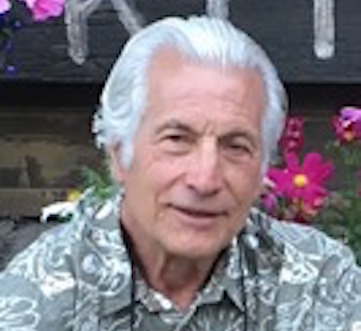 Dave got his start in food preparation in 1959 when he was a college student at UC Berkeley and received free room and board by serving as kitchen supervisor for a men’s residence hall. Later, From 1990 to 2001 while working with the US Geological Survey in Sioux Falls, South Dakota, Dave organized teams of volunteers at the Banquet, a non-profit organization similar to Bread and Broth, that served several hundred hungry guests every night. So when he retired in 2001 and moved into his vacation home in South Lake Tahoe, it was natural for him to become involved with Bread and Broth. He quickly moved from assistant cook to Team Five cook, then Volunteer Coordinator. When he joined LTCPC in 2013 he became part the B&B Second Serving Team, which at that time served bread and soup from nine local restaurants. Dave added a simple entrée to the menu and arranged for cooks to prepare it. In 2014 he was asked to take over as Coordinator for Second Serving. With a team of 30-40 volunteers Second Serving feeds an average of 45 guests every Friday evening. When Dave isn’t volunteering he is taking advantage of Lake Tahoe’s outdoor opportunities: birding, golfing, mountain bike riding, skiing, hiking, kayaking, tennis and lately, paddle boarding. When asked, Dave says that it is his Christian faith that inspires him to take such an active role with Bread and Broth as well as with Tahoe Coalition for the Homeless’ Warm Room. Dave was too busy to get married until he was 50 but now Bonnie, his wife of 26 years, makes him do the major cooking at home, which he is happy to oblige. The eldest of five children, Father Mauricio Hurtado was born into a farming family in El Calvario, Michoacán, Mexico. His interest in the Catholic church was renewed when he was 19 years old when he found God’s love and mercy in the sacrament of Confession. As his knowledge of his vocation in the priesthood became apparent, he traveled with his parents to Seminario de Santa Maraia de Guadalupe and enrolled in the seminary that very day. At the seminary, Father Mauricio worked very hard to catch up and complete his high school education and also study the college philosophy and theology classes which he found to be very interesting and enjoyable. 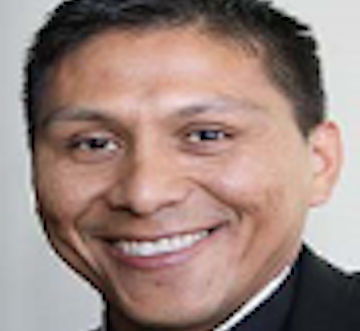 Upon completion of his initial seminary classes he agreed to join the Diocese of Sacramento and then spent a year studying English at UC Davis before entering St. Patrick’s Seminary in Menlo Park in 2005. After two years of studying theology and the culture of the American Catholic Church, Father Mauricio was assigned to St. Paul Parish in Sacramento for his pastoral year. He was ordained on May 31, 2010 and has served as Parochial Vicar in parishes in Redding, Fair Oaks and Davis. His assignment to St. Theresa Church in South Lake Tahoe began July 1, 2015 and he has been a devoted leader to the parish church and a tremendous supporter of the ministries of the Parish which include the Bread & Broth Program. Mary Ann spent the early years of her life in Hayward, CA where she was born, raised and eventually married and had her daughter. In Hayward she also completed her college education at Chabot Community College and upon graduation; she was employed in the banking industry. Wanting to be able to be a stay at home mom for her infant daughter, Mary Ann and her young family moved to South Lake Tahoe in 1979. She enjoyed living in the beautiful area of Tahoe and was very happy to be able to spend quality time with her little girl. Eventually, she began working at the El Dorado County Superior Court as a Court Clerk. After twenty four years with the Superior Court, Mary Ann retired in 2010. Even before retiring, Mary Ann began giving back to her long time community when she began volunteering with Bread & Broth in 2007. She started with general volunteering at the Monday Meal serving, then became an assistant cook, helps with the Adopt A Day Sponsor crews, and adding to her long list of committed support for the B&B program, she is also Deep Cleaning Co-Chairperson. Volunteering with Bread & Broth is a rewarding experience for Mary Ann and she really appreciates the gratitude and thanks expressed all the time by the dinner guests. When not volunteering with Bread &Broth, Mary Ann works part-time at TJMaxx. She enjoys singing and is a choir member of her church. In addition to spoiling her two dogs, Mary Ann enjoys line dancing, yoga and loves to shop and cook. Beth was born and raised in rural northeast Iowa. Following her passion for working with children, Beth attended Augustana College in Sioux Falls, South Dakota where she majored in special education and elementary education. She taught for two years in Iowa before moving to California with her husband Jerry. Beth spent the next 35 years in education, both as a teacher and as a district administrator in the San Juan Unified School District, just on the outskirts of Sacramento. During this time, Beth was the busy mom of two boys and was active in volunteering for her church, the local Little League, and the foundation serving her children's school district. In 2013 and after retirement, Beth and her husband moved to Tahoe to pursue their dream of living at the lake. They both enjoy the many opportunities and activities that Tahoe provides. In her spare time, Beth enjoys traveling, golfing, reading and spending time with family and friends. Beth's involvement with Bread & Broth began when she first heard about the B&B 4 Kids program to provide weekend meals for needy children. 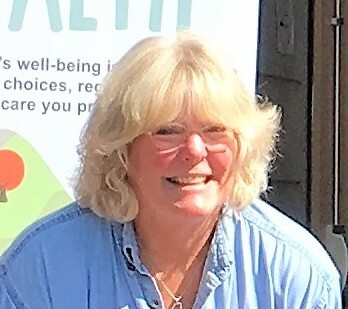 During her career, Beth saw firsthand in her classroom the effects of children struggling with food insecurity and wanted to participate in a program that addressed that need in the Tahoe community. Currently, she packs weekend backpacks for the B&B 4 Kids program and volunteers for the Summer Kids Program. 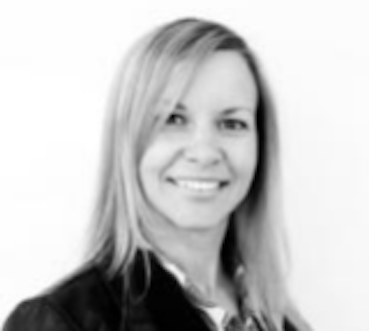 In addition, Beth serves on the B&B Advisory Board as Communications Chairperson, which includes communication for all B&B events and grant writing to solicit organizational donations.